Overwhelmingly, nonviolent action is group or mass action. While certain forms of this technique, especially the symbolic methods, may be regarded as efforts to persuade by action, the other forms, especially those of non-cooperation, may, if practiced by large numbers, coerce opponents. Whatever the issue and scale of the conflict, nonviolent action is a technique by which people who reject passivity and submission, and who see struggle as essential, can wage their conflict without violence. Nonviolent action is not an attempt to avoid conflict. It is one response to the problem of how to wield power effectively. What nonviolent action is not. (1) Nonviolent action has nothing to do with passivity, submissiveness, and cowardice; just as in violent action, these must first be rejected and overcome. (2) Nonviolent action is not to be equated with verbal or purely psychological persuasion, although it may use action to induce psychological pressures for attitude change; nonviolent action, instead of words, is a sanction and a technique of struggle involving the use of social, economic, and political power, and the matching of forces in conflict. (3) Nonviolent action does not depend on the assumption that people are inherently “good”; the potentialities of people for both “good” and “evil” are recognized, including the extremes of cruelty and inhumanity. (4) People using nonviolent action do not have to be pacifists or saints; nonviolent action has been predominantly and successfully practiced by “ordinary” people. 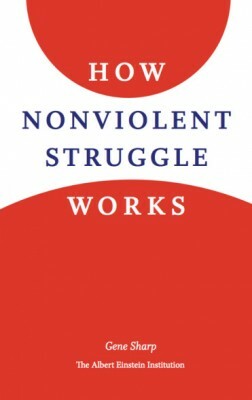 (5) Success with nonviolent action does not require (though it may be helped by) shared standards and principles, a high degree of community of interest, or a high degree of psychological closeness between the contending groups; this is because when efforts to produce voluntary change fail, coercive nonviolent measures may be employed. (6) Nonviolent action is at least as much of a Western phenomenon as an Eastern one; indeed, it is probably more Western, if one takes into account the widespread use of strikes and boycotts in the labor movement and the non-cooperation struggles of subordinated nationalities. (7) In nonviolent action there is no assumption that the opponent will refrain from using violence against nonviolent actionists; the technique is designed to operate against violence when necessary. (8) There is nothing in nonviolent action to prevent it from being used for both “good” and “bad” causes, although the social consequences of its use for a “bad” cause may differ considerably from the consequences of violence used for the same cause. (9) Nonviolent action is not limited to domestic conflicts within a democratic system; it has been widely used against dictatorial regimes, foreign occupations, and even against totalitarian systems. (10) Nonviolent action does not always take longer to produce victory than violent struggle would. In a variety of cases nonviolent struggle has won objectives in a very short time — in as little as a few days. The time taken to achieve victory depends on diverse factors — primarily on the strength of the nonviolent actionists. EDITOR’S NOTE: Gene Sharp is one of the world’s leading experts on the history, theory, and practice of nonviolence. His three-volume work, The Politics of Nonviolent Action (Boston: Porter Sargent, 1973), from which the above is taken, is considered essential reading for anyone interested in any aspect of nonviolence and nonviolent struggle. He is Professor Emeritus of political science at the University of Massachusetts Dartmouth, and was for thirty years a research fellow at Harvard’s Center for International Affairs. He is also founder of the Albert Einstein Institution in Boston, a non-profit organization concerned with nonviolent action and conflicts; courtesy aeinstein.org.